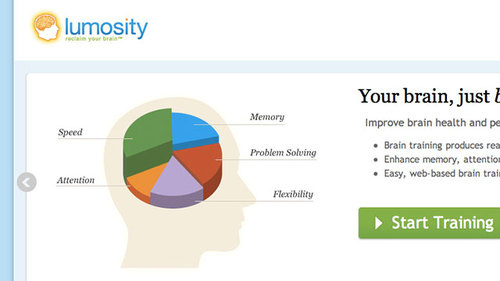 Lumosity is a webapp that provides specialized brain-training activities. You can use it for free, but premium accounts (which you can try free for five days) have a wider range of training options. All the exercises are pretty simple to understand and are fun to play. Lumosity’s exercises may vary for you based on the information you provide. When you’re done, you get a rating and your goal is simply to improve with each day you practice. As each little test takes only about a minute, here’s another idea to help add some fun to your day while energizing your brain! Norm Brodsky is a serial entrepreneur – one of those who has a knack of building one successful business after another. Being a man of action, Norm knew he was regularly guilty of rushing into decisions on impulse. 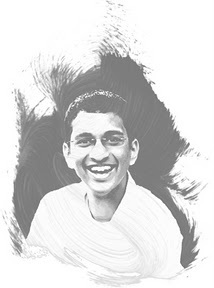 A few businesses and many bad decisions later, he came up with a simple idea – he would never take a major decision without thinking about it during a shower. He communicated this to all his employees and business partners. The important catch here is that he could only shower after work at night and before work in the morning. So, EVERY major decision was given atleast a night’s thought. 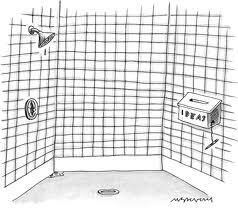 Norm’s characteristic entrepreneurial streak combined with his ‘shower and decide’ discipline were, of course, an unstoppable combination. How often do we jump into decisions without giving them thought? Maybe the ‘shower and decide’ strategy could work well for us as well. Hope you have a superb weekend! I was always a pretty bad athlete. Most of my time during sports meets in school went in clapping for the star athletes. As a result, I watched all these races, jumped and cheered. My favorite was the 4*100m relay and I guess watching many a race (versus running them) made me draw parallels to athletic situations. For example, one of my theories is that a good talk/speech is like a 400m dash – you start with a bang and capture the audience’s interest, keep up the momentum and use up all your ending in a cracking ending. 1. Events or 100m sprints (Duration: 1 day – 1 week. Maximum 2 weeks): Events in our lives are similar to the 100m sprint. We expend all our energy and test our ability to sustain our energy (physical and mental) in high stress. Events can be happy, tough and sad. I think of times when we are just required to burn the mid-night oil – a crazy examination schedule, a crazy project deadline etc. It could also extend to an action packed vacation, a happening party, a trek etc on the personal life front. I feel anything above 9 months would just be ‘work’ but again, I am aware of projects lasting an extra few months. Not sure if you’d consider it or structure like you would structure a project. And besides, I picked 9 months because I likened it to giving birth to a baby on a personal front. 3. Long term work/life or Marathons (Duration: >6 months): This applies to any work and life, in general. Life is a marathon of sorts after all. You can have your desperate sprints but over the long run, it’s definitely not a few day battle – it’s a war. A simple example is sleep and the use of time. While it may seem productive to lose sleep in a few day ‘event’, it will certainly become unproductive over time in a ‘project’ and definitely damaging if done so in long term work or life. I find it helpful to put a frame around common place things. Just helps me understand and picture them better and as a result, helps me do better in general as I learn how to apply myself – hope it does for you too! I tried this morning to sign up for email subscription of the news. I used to be a news hog and then found the whole system extremely negative as seeing gory pictures of people dying practically every day wasn’t my favorite tonic at the start so I unsubscribed for a while but after an embarrassing dinner conversation with a colleague where I wasn’t up to speed on an important piece of news, I decided to re-subscribe and see where we go. But no, I had to sign up somewhere, click to connect my facebook account there, choose a username that took a bit and then found that every time I refreshed, there was some bug with the login system so I had to re-login. I found their email alerts button but didn’t get what I wanted. After wasting a good 20 minutes, I felt the need to scream. So, I decided to give BBC a shot. And what do you know, it was a 3 step process and I’m a BBC news subscriber now. CNN just lost 1 willing customer and got itself some negative publicity. Reminded me of this insightful piece by Seth Godin. Why would you do this to a customer?